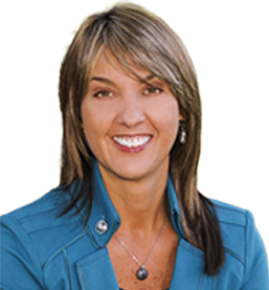 Generally Accepted Government Auditing Standards (GAGAS) guide local government auditors nationwide and are issued by the Comptroller General of the United States, the official auditor of the U.S. Congress. 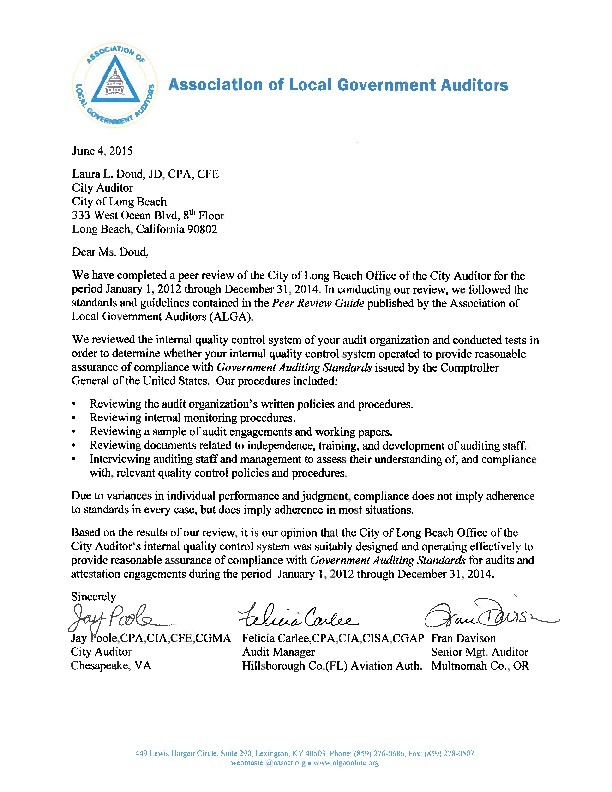 Since 1988, audit organizations following these standards are required to have a peer review every three years. 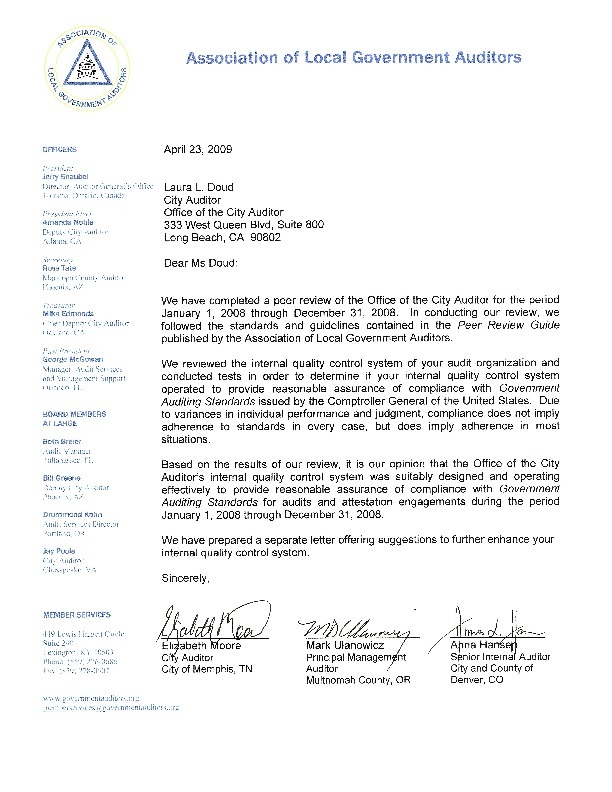 In April 2009, three years after being elected, City Auditor Laura Doud requested and underwent the first peer review of the Office since the 1988 requirement went into effect. In June 2018, the Office passed its fourth consecutive triennial peer review. 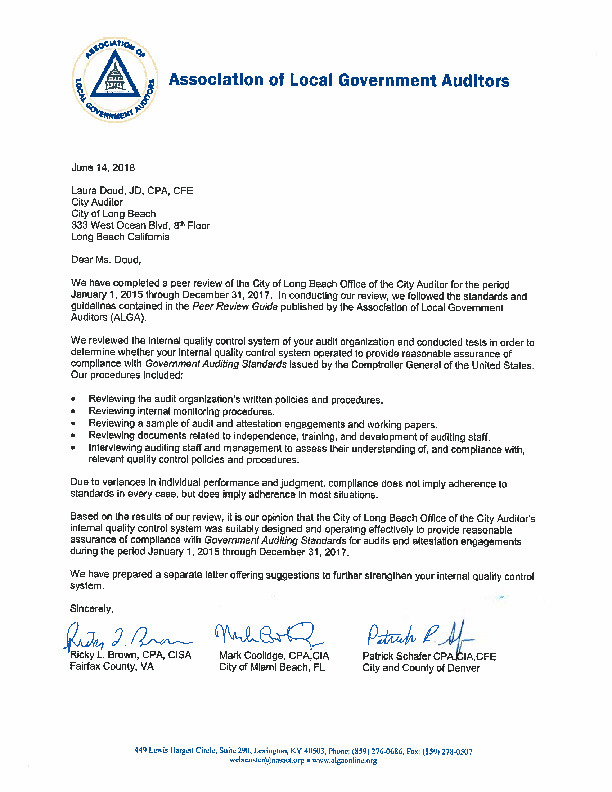 This distinction assures citizens that their taxpayer dollars are being monitored by a City Auditor’s Office that has met the highest standards of performance in the profession. 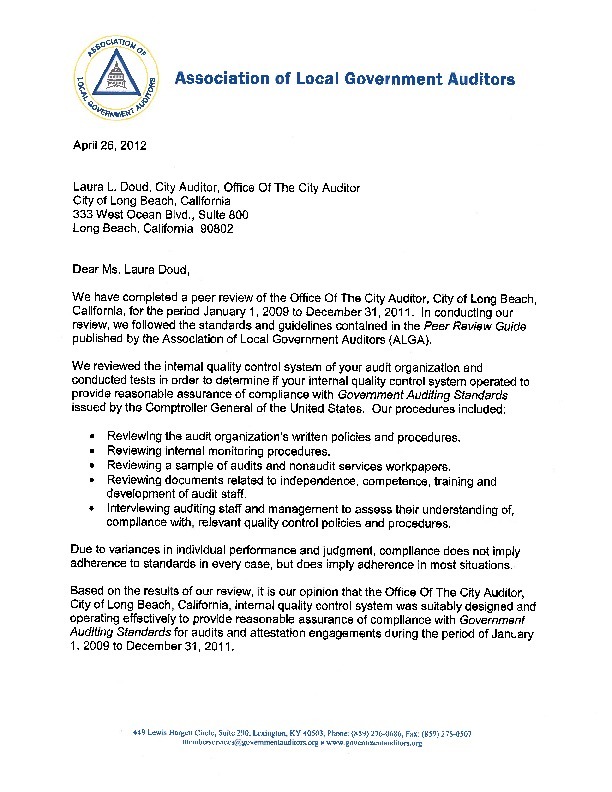 City Auditor Laura Doud has committed to undergo triennial audits by independent panels of peers. 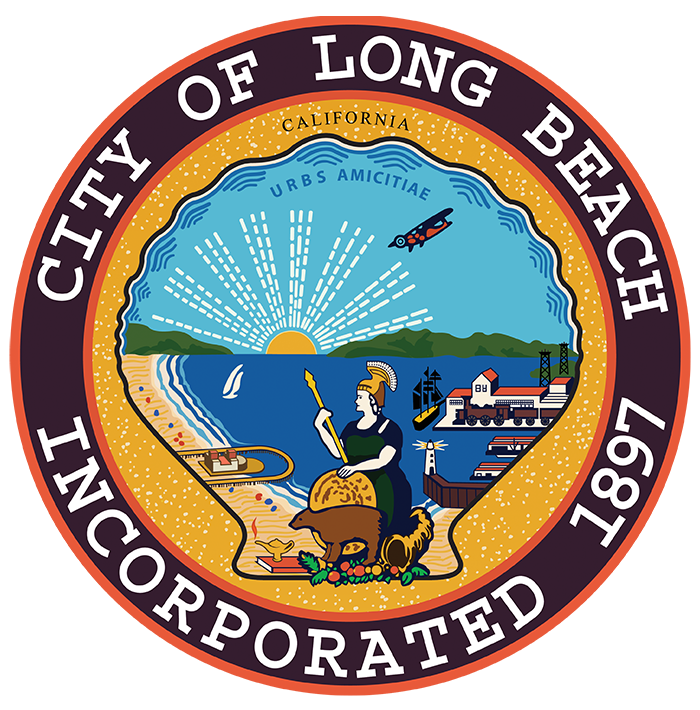 These regular peer reviews will continue to ensure that the internal operations of the Long Beach City Auditor’s Office are in full compliance with Government Auditing Standards.